Cave painters were the earliest users of watercolours followed by the Ancient Egyptians who had papyrus on which to paint. They also painted the inside of tombs with a form of watercolour. The Ancient Chinese and Japanese used watercolours – the Chinese invented paper in around 100BC. Watercolours were used in Europe for manuscript illustrations during the Middle Ages. One of the earliest and greatest painters to use watercolours was Albrecht Durer (1471-1528). 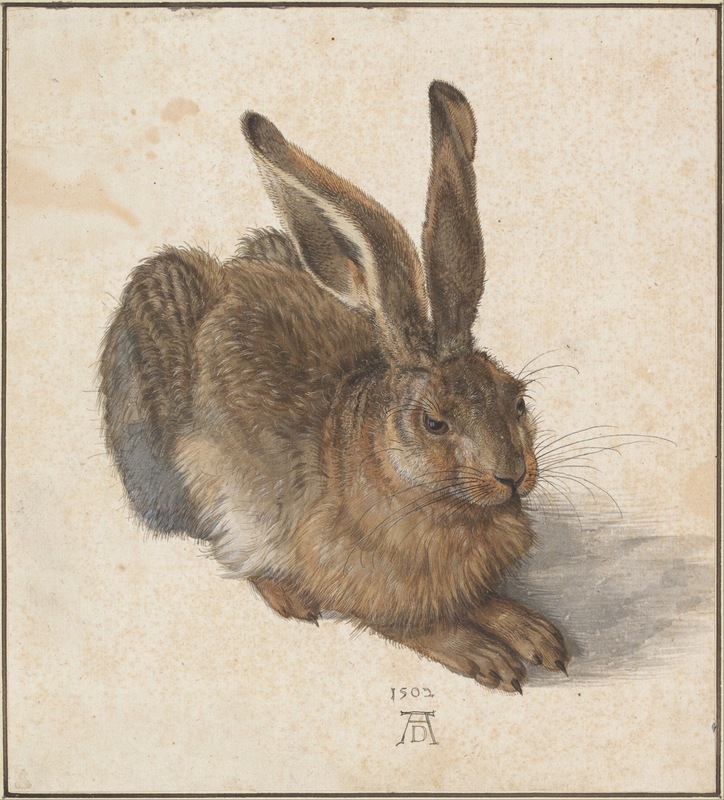 Below is the exquisite Portrait of a Young Hare (1502) by Durer. William Reeves invented the hard cakes of soluble watercolour in 1780 and with the production of cheaper and higher quality paper the Golden Age of Watercolour came about. 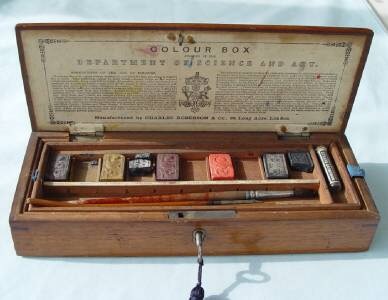 This is what a paint box looked like in the 1870s. Essentially watercolours are water soluble pigments suspended in gum arabic. They allow for a freshness and luminosity in a painting and were used to great effect by English artists such as J M W Turner (1775-1851). They were also used to great effect by a J M Cooper. 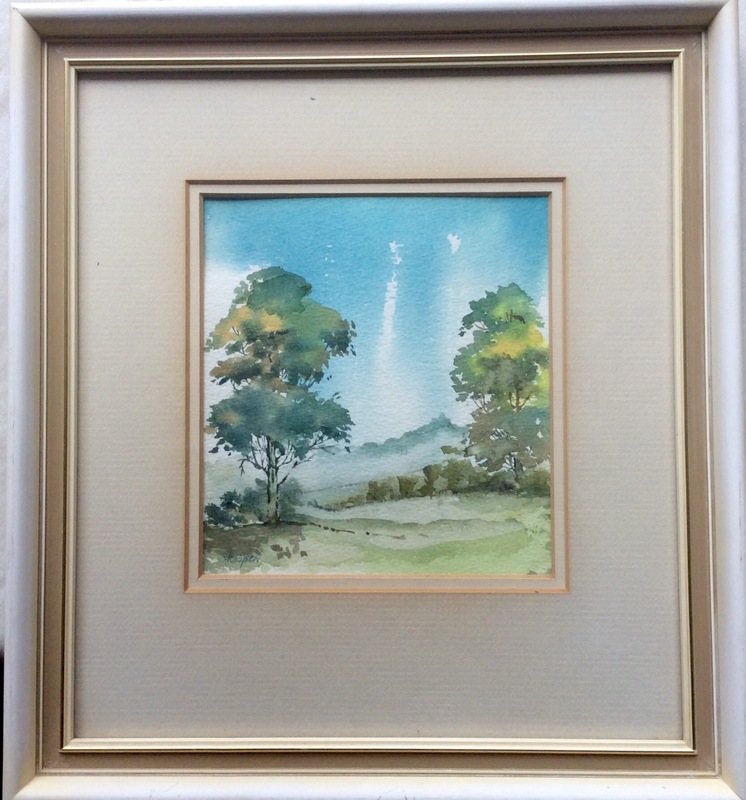 Here is one of his/her watercolours of some rural scene. There is no detail about the painting, just a signature but it is rather lovely.